1. Uses single 21700 5000mAh high-rate discharge lithium battery. 2. 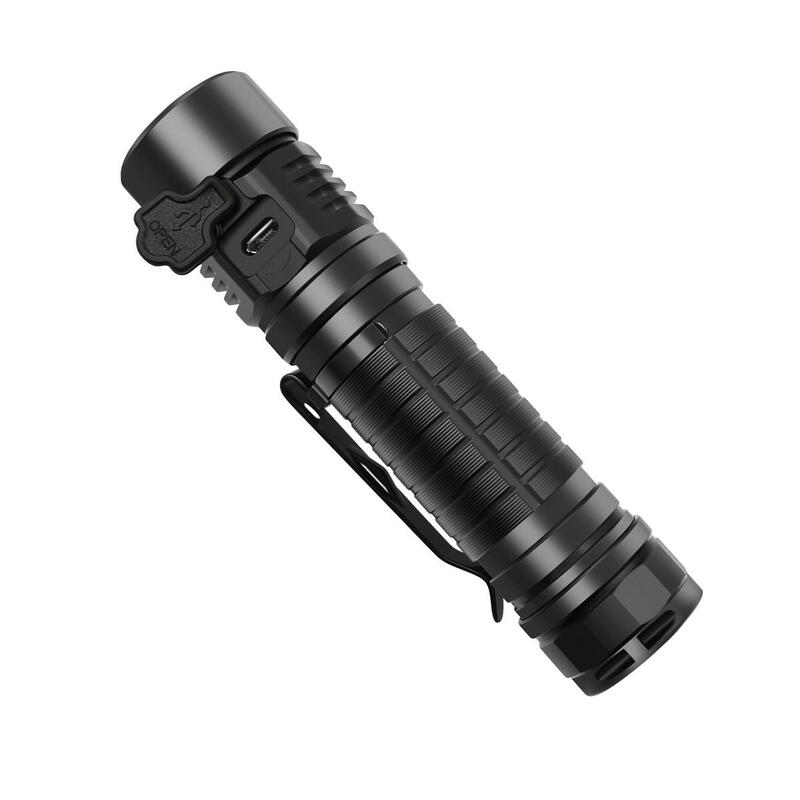 The light utilizes XHP35 high intensity LED, output up to 1600 lumens. 4. Body with Micro-USB charging, which supports up to 2A charge. 5. Can be used as a mobile power supply, use the USB adapter power to other devices, the maximum output to 2.4A; with a discharge capacity reminder. 7. Anti-reverse design to prevent incorrect battery installation causes the circuit damage. 8. Battery power detection, charging instructions, low battery reminder function. 10. Made of aero grade aluminum alloy, premium Type Ⅲ hard-anodized anti-abrasive finish. 11. With flshlight self-location function. 12. Two-ways holding clip design.